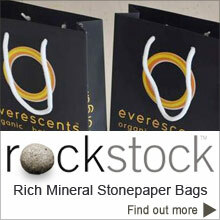 Rockstock will fuse to the plastic cup when formed. Being waterproof it is suitable for liquids. The matt finish gives a great feel to the cup. 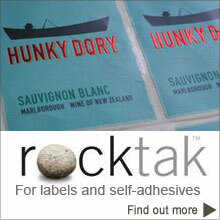 The label and cup can also be recycled with Number 2 plastics as Calcium carbonate is used as a filler in plastics. 100- 120 Micron RPD is suitable for this. 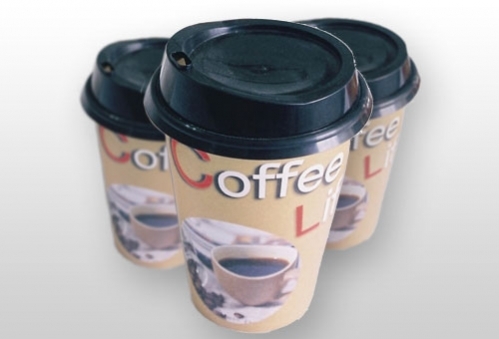 Can be printed offset and die cut to the right shape for your cup, tray, tub, lid or bottle.